The gay community was rocked by the recent beating of a gay man and popular YouTuber, Calum McSwiggan, 26. 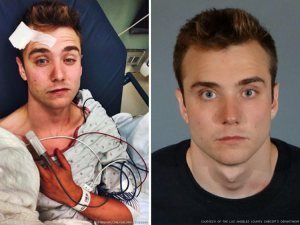 McSwiggan has now been charged with making a false police report after investigators concluded that he was not attacked and caused the injuries to himself. In a case reminiscent of the recent hoax by a gay minister, McSwiggan went to social media and created a firestorm over his alleged victimization.